Career possibilities | RE/MAX Suriname - Our real estate agents assist you with buying or selling your home, apartment, lot, or business premises! Are you looking for a new challenge in your professional career? Are you a professional sales person and do you like to work with people? Do you want all the advantages of owning your own company without the disadvantages? 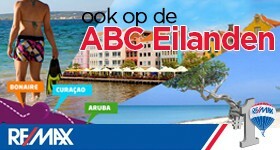 Then RE/MAX Suriname is the challenge you are looking for! You will work with a number of other real-estate agents from our beautiful office located on the Swalmbergstraat (Paramaribo-Center). You share the office costs. This way you always have a professional office, good equipment, someone who answers the phone, someone who takes over your activities during your holiday etc. Together you can afford all of this. 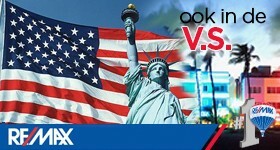 At RE/MAX top producers compete together- not against each other. 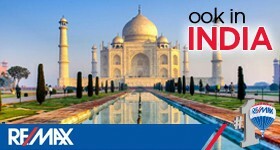 Your listings will be on the internet site www.remax.sr and the international RE/MAX website. We receive lots of notifications from buyers, investors and people who want to sell/rent their property. Buyers from abroad can easily find our main office which is located right outside the inner-city of Paramaribo. The RE/MAX logo is one of the best known logo’s in the world today. You become part of a worldwide organization with more than 100,000 Sales Associates in more than 95 countries. All of these Sales-Associates work with you through the international referral system. The office Owner will also provide you with a number of activities. He ensures the offices’ reputation, publicity, support, management, administration and training. You do not have to deal with administration, contracts and day to day activities in the office. You can spend 100% of your time to do what you do best: Sell real-estate. That sounds great, right? However, we do expect a counter-payment. Beside the fact that we expect you to be a team player and a professional, there is a financial obligations. Every month you pay the office owner a fee for management and office costs. However, you do preserve a large part of the commissions you earned! RE/MAX was designed for top agents by top agents. Do you want to be a top agent with our successful office then please call us at +597 475577 or e-mail us at info@remax.sr .